Wellness Wednesday Is Here, Wising You An Awesome One! Let’s have... – Juka's Organic Co.
Wellness Wednesday Is Here, Wising You An Awesome One! Let’s have some food talk though . You don’t have to eat less with a dream to maintain good health; you just have to eat right. The only person standing in your way is you. Fitness is all about 20% exercise and 80% nutrition. You can’t outrun your fork. Thus, health requires healthy food. Until recent days, coconut oil gets the most attention whereas today the virgin and unrefined version of red palm oil has taken most of the market attention. Red palm oil has some of the amazing key components that make it so unique. It holds a substantial place today in the human diet. Consumption of red palm oil regularly with your food items can promote arthrosclerosis or arterial thrombosis. Red palm oil is also loaded with Carotenoids, Sterols, Vitamin-E, Phenolic Acids, Flavonoids, and water-soluble powerful antioxidants which allows reduced risk of a variety of diseases like Alzheimer’s disease, arterial thrombosis, atherosclerosis, cancer, cataracts, cognitive impairment, macular degeneration, blood clotting, high cholesterol levels, high blood pressure and Vitamin-A deficiency. 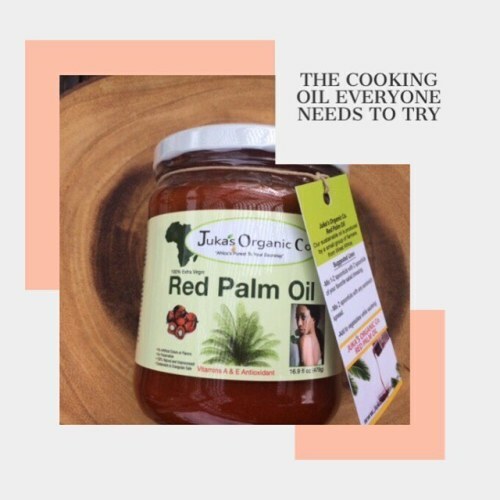 Get a jar of red palm oil from us and stay fit and healthy!